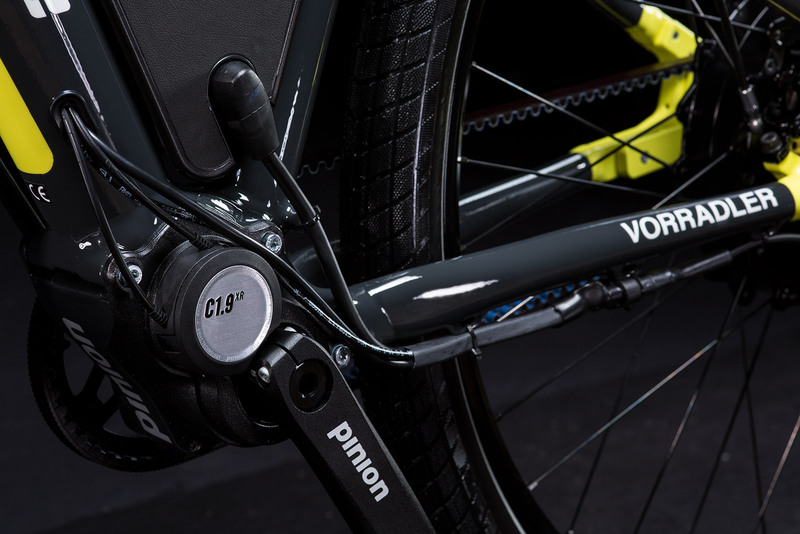 The Vorradler S3E Pinion TE is the better pedelec with a low entry. Our high-strength aluminum frame using alloy 7020 with hand-ground welds manages the balancing act between comfort and a safe driving feel in every situation. The almost maintenance-free equipment makes it the perfect everyday companion. 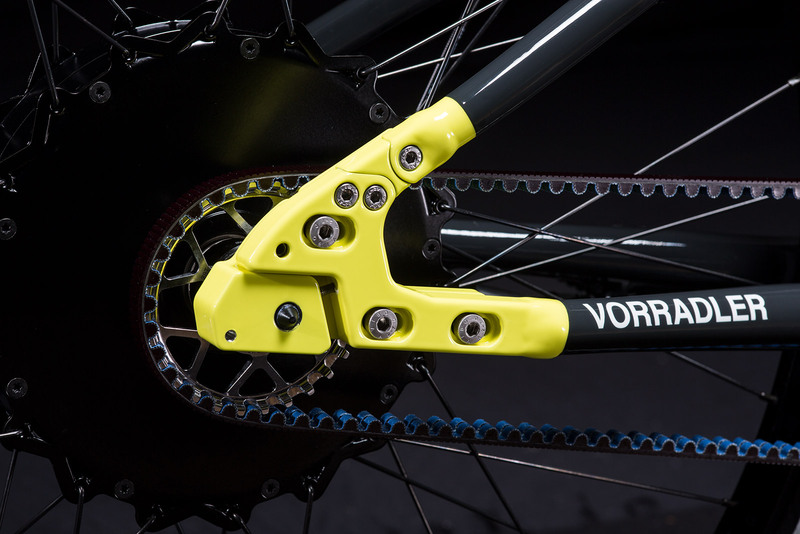 The Vorradler has a powerful rear-wheel drive from Swiss manufacturer Go SwissDrive. It impresses with strong acceleration, high elasticity, smoothness and strong power reserves. The complete drive system of the Vorradler sets new standards. Through a KERS (Kinetic Energy Recovery System), known from Formula 1, energy recovery is possible whenever you go downhill. 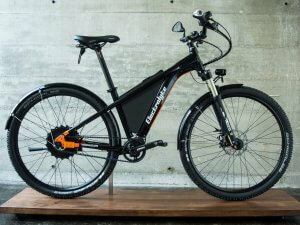 The battery developed by Electrolyte fits perfectly into the sporty design of the bike. It is very durable, reliable, easily removable and can be locked to protect against theft. 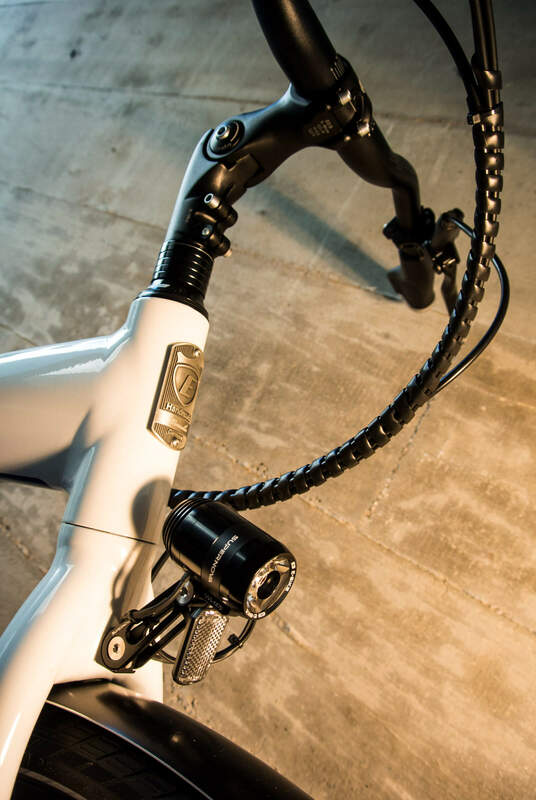 We’re happy to customise the bike to your personal preferences and can even paint it in your favourite colour. 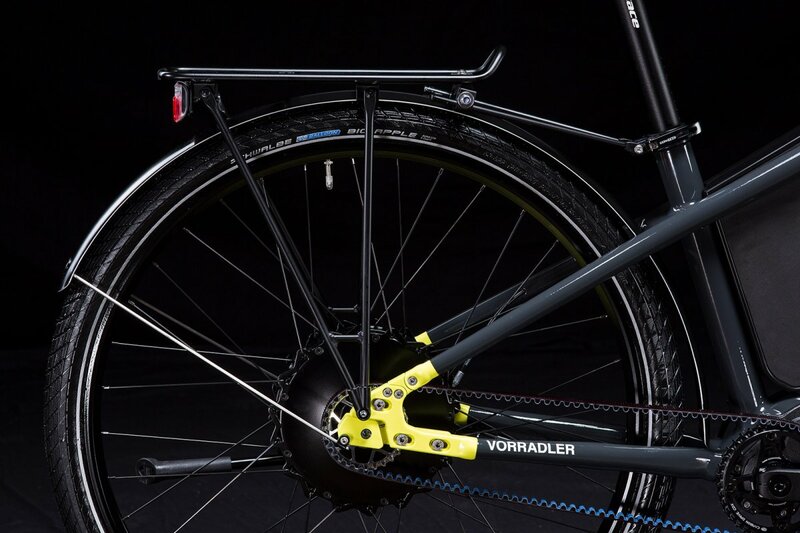 The Vorradler is handmade in Bavaria and built to highest quality and safety standards. 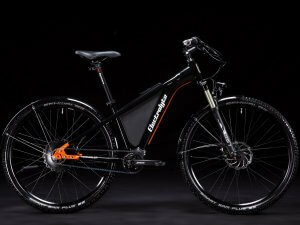 The bike is available from selected dealers or directly from us. 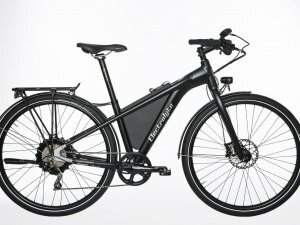 You can return any standard bike in standard colours to us within 30 days. All our frames have a 10 year warranty against defects in materials and workmanship. Our batteries have a 2 year limited warranty, subject to proper handling. Please refer to our terms and conditions. 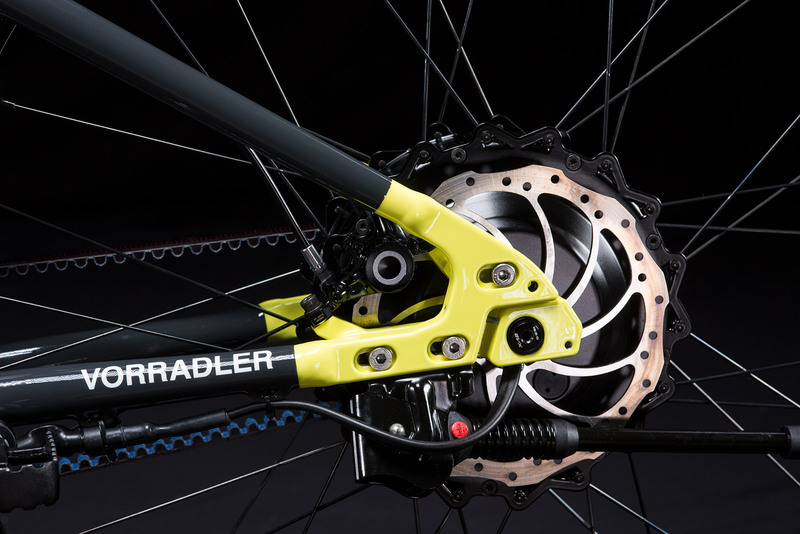 The drive in our Vorradler offers maximum comfort combined with strong support. 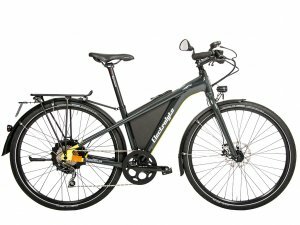 The noiseless motor is perfect for everyday and touring riders who also want to master long distances with motor assistance and want a powerful and harmoniously tuned drive system. 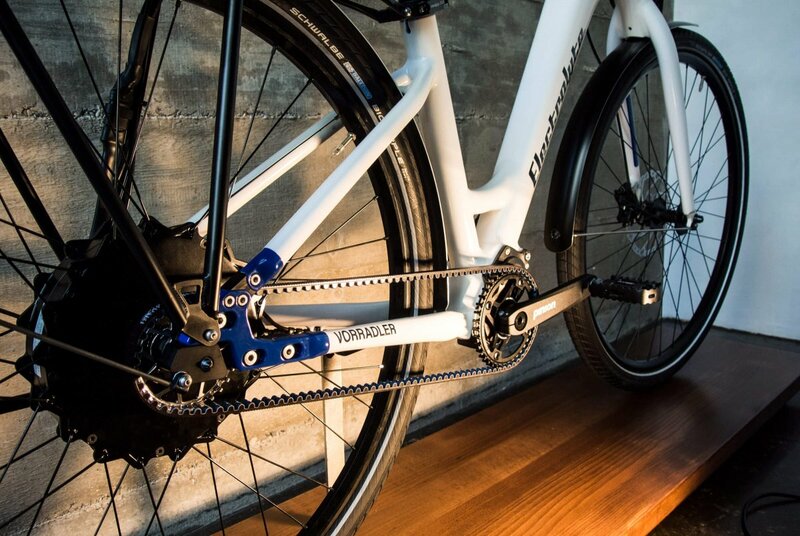 With 250 watts rated output and direct power delivery at the rear, the GO SwissDrive motor forms the heart of the propulsion system and provides powerful acceleration. 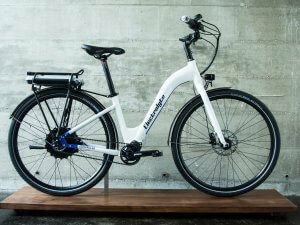 The motor complies with the pedelec standard. 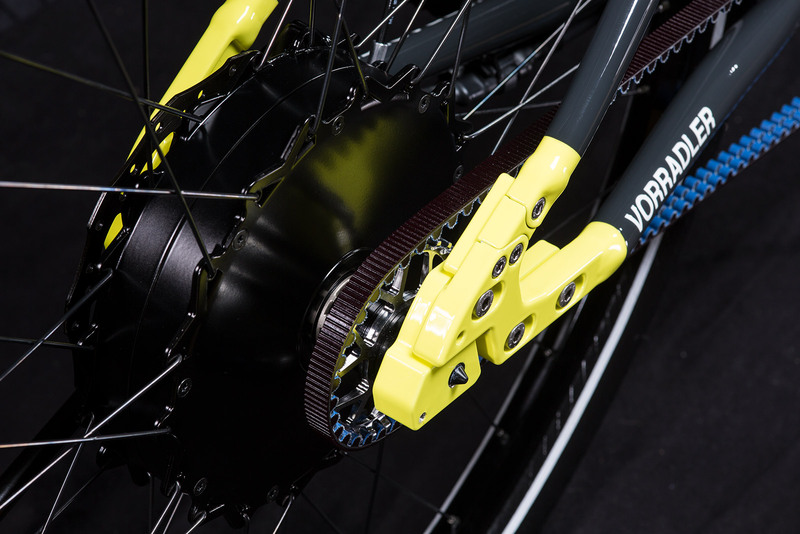 Torque measurement, motor control and important protection mechanisms are integrated directly into the motor. This makes them reliable and maintenance-free. 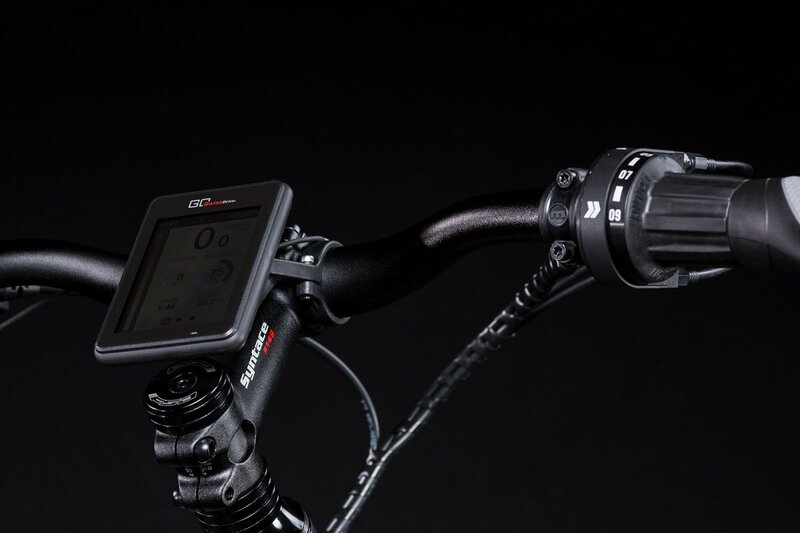 The IP 64 dust and splash water resistance also allows extended off-road and bad weather riding. GO SwissDrive AG has existed since January 2011 as an independent company of the Ortlinghaus Group. Founded in 1898, the Ortlinghaus Group looks back on more than 100 years of experience in the development of sophisticated technology for the highest demands. This also benefits Electrolyte. 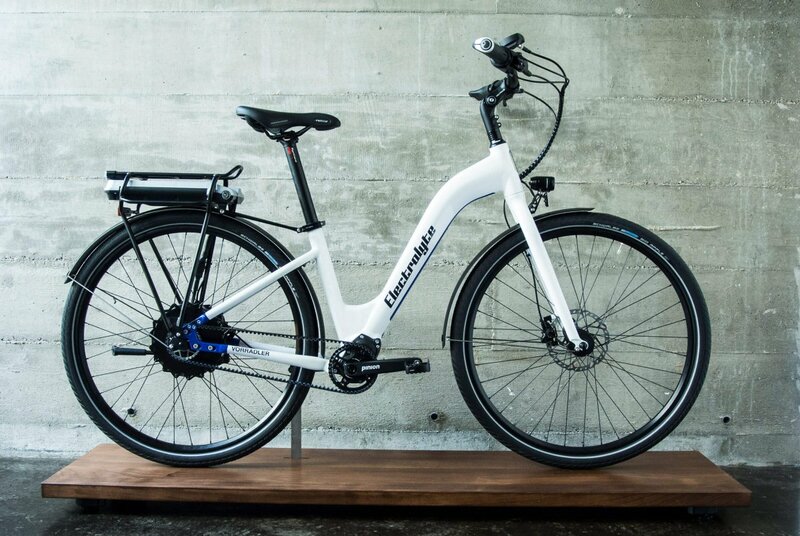 Building on this tradition-steeped past, GO SwissDrive AG manufactures e-bike motors to the highest Swiss quality standards. 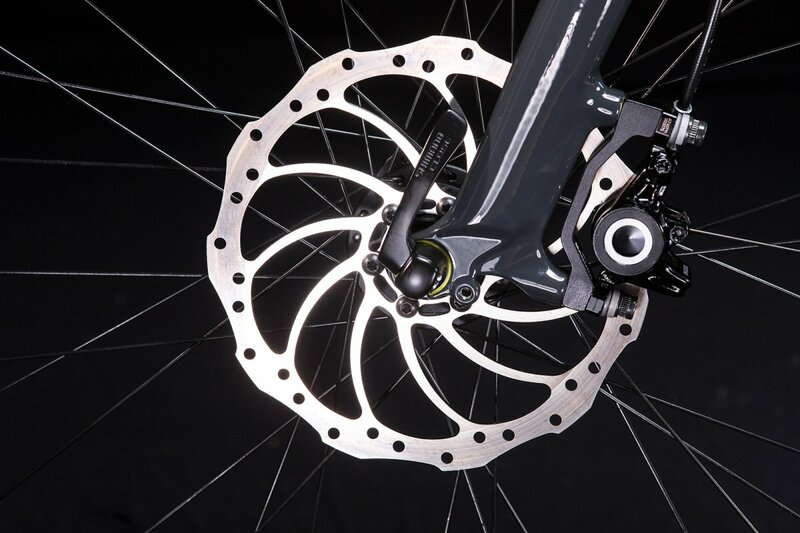 The Pinion technology is based on a helical gear design. High-precision gear-shifts similar to sophisticated automotive gearboxes. 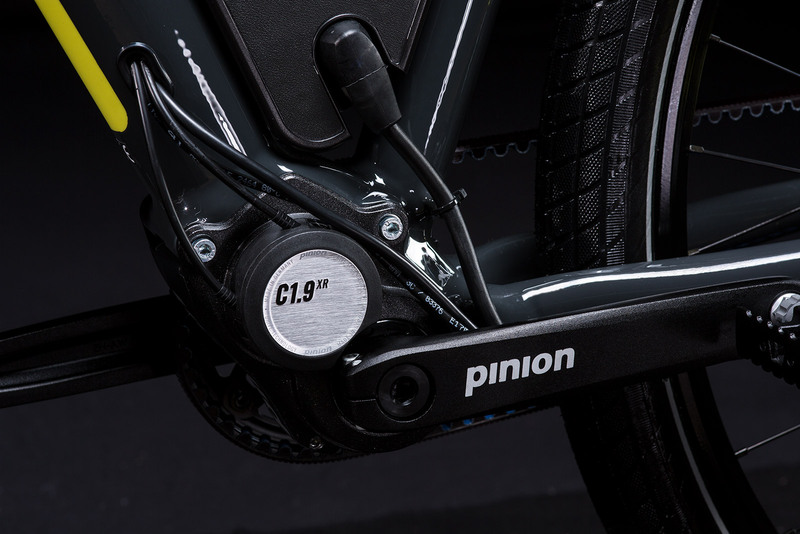 Durable, dependable, no-wear and no need for adjustments, the Pinion gearbox will last the entire lifetime of your bike. 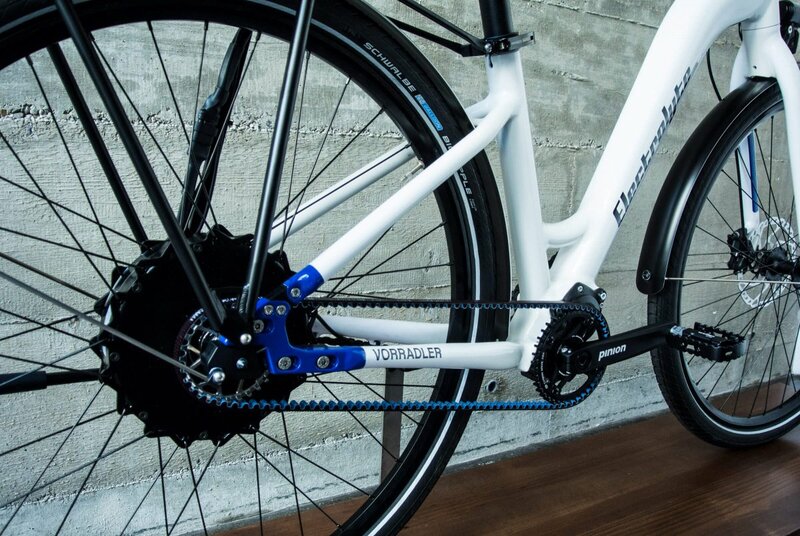 Centrally integrated into the frame and protected by an enclosed casing, it’s the definition of forward-looking bicycle drive technology. No overlapping gears. 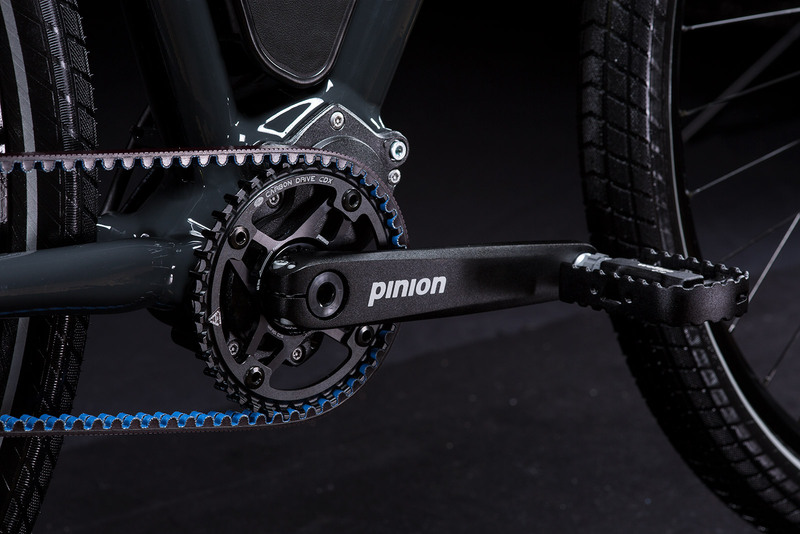 The Pinion gearbox does not suffer from bad efficiency or increased chain wear either. Furthermore, it can reach a gear range of over 630% – you’ll always have the right gear available in every situation. 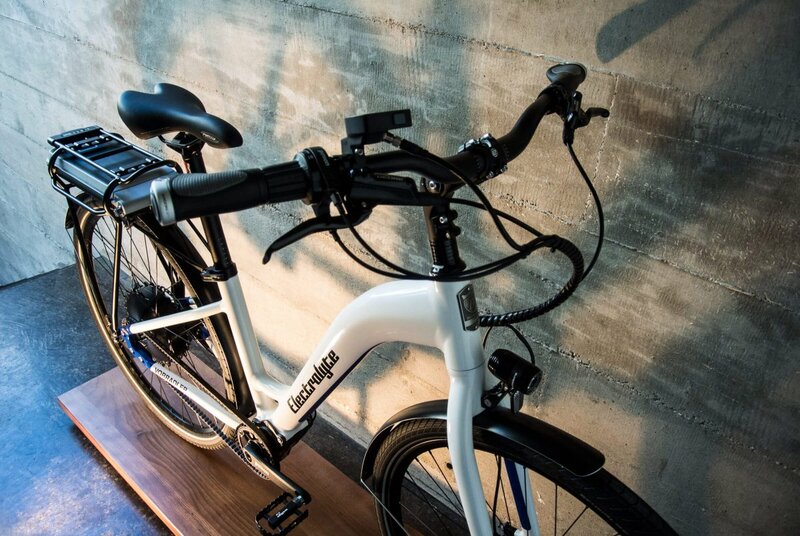 In our Vorradler, we’re using Lithium-Ion technology. 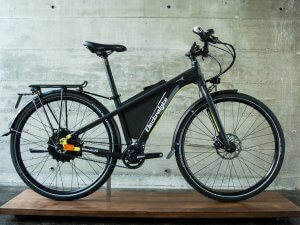 This means: the highest possible energy density, no memory effect and long battery lifetime. All our models allow recharging through an external charging port. Alternatively, you can remove the battery and simply connect it to power inside your home. Each battery can be locked with a key for anti-theft protection. We exclusively use tested Panasonic cylindrical cells for all our batteries. The cell packs are assembled in Germany and equiped with a protection circuit to prevent battery overload and deep discharge. Consult our FAQs or your operation manual for tips about the correct handling of your battery. You don’t want to order directly or you have questions or want to test-ride one of the bikes? 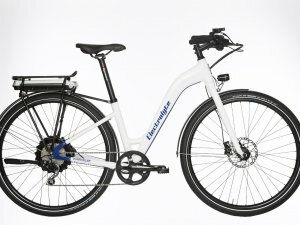 Electrolyte is a maker of special and unique bicycles and electric bikes. 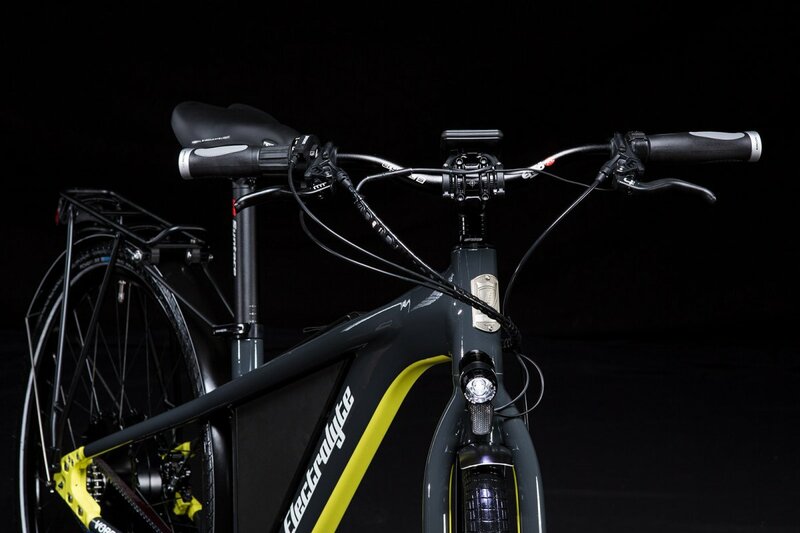 We are famous for our innovative solutions – made in Germany. In 2013 we were awarded the Bavarian State Prize for outstanding technical achievements in the skilled trades sector.